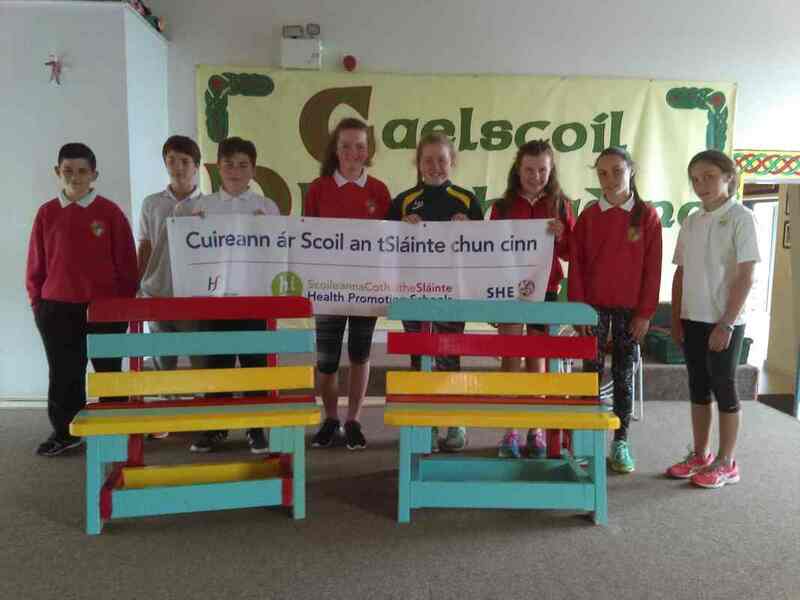 ​Bronnadh brat buí ar Ghaelscoil Dhroichead na Banndan le déanaí don obair go léir atá déanta acu le sláinte na scoile. Maith sibh a pháistí!! The Yellow Flag for Health Promoting Schools was presented to the school last week by Eileen Harran. Well done to all the children!! Ghlac páistí ó rang Naíonán bheaga-Rang 6 páirt i gcúrsa garchabhrach in éineacht le múinteoirí na scoile. Children from Junior Infants to 6 class and their teachers took part in a First Aid Course this week.